Dr. Jennifer Creedon specializes in adult, adolescent, and child psychiatry, and is an expert in life transitions and addiction treatment. Tricia Brown, LPC-S, trained in EMDR and CBT, specializes in addiction, anxiety, depression and trauma. Jeffrey Dupuis, LCSW, has extensive training in addiction treatment and intervention and also treats co-occurring issues. Tori Buckley, PLPC, employs an interactive, relational style to work with: individuals, partners, or families regarding issues with life transitions, relationships, mood, postpartum struggles, and trauma. Enrica-Anne Montalbano (E3392), a licensed massage therapist, specializes in Ortho-Bionomy, deep tissue, sports massage, craniosacral, and healing touch. She works well with clients with anxiety, depression, trauma, injuries and lymphedema. 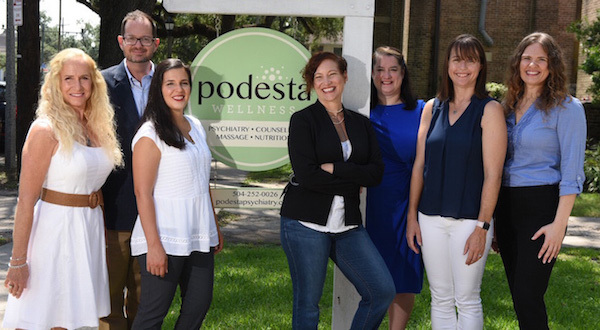 Nutritionist and Functional medicine specialist, Jan Johnson RD, LDN, CLT, helps people achieve whole health by addressing the underlying disease etiology through nutrition and habits. 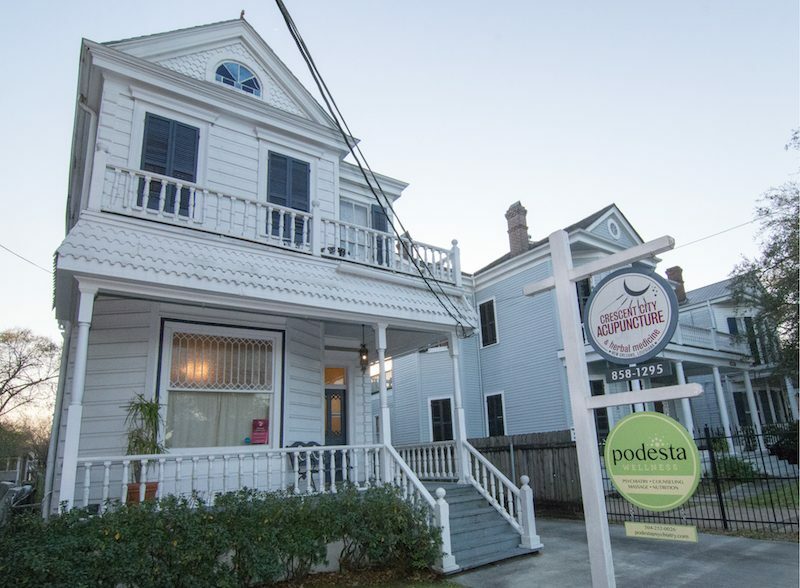 Podesta Wellness works with Crescent City Acupuncture to offer Chinese herbal medicine, therapeutic bodywork, and yes, acupuncture. In addition to individual appointments, we have group offerings such as Cognitive Behavioral Treatment for Depression, MusiCares: Musicians in Recovery, and more.